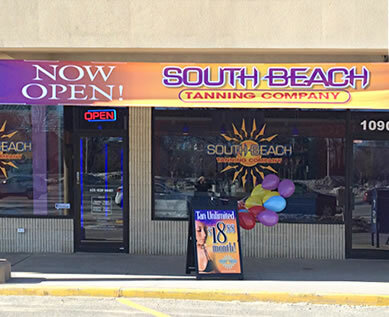 The Port Jefferson Tanning Salon is located approximately ½ mile south of Route 347 at the intersection of Route 112 and North Bicycle Path in the Port Plaza. The Salon is next to Uncle Giuseppe’s Marketplace, Mandee, Swirls and Twirls and PJ’s Cinemas. We are conveniently located a few doors down from LA Fitness and directly across the street from The Meadow Club.